Einstein’s paper ‘Special Theory of Relativity’ was published in 1905 and the profound changes that it prompted lead to the year being known as Annus Mirabilis (the Wonder Year.) Meijer’s portrait evokes these monumental changes in scientific thought and the painting was almost given the title ‘Saeculum Mirabile’ (The Century of Wonder) by the artist. The painting is filled with a surrealistic visualisation of the many aspects of both the Special and General Theory of Relativity. Behind Einstein are keywords from the General Theory, supported by the respective formulae written on the blackboard in Einstein’s own handwriting. The hourglass on the right reflects ‘Time’ and is filled with light. It is surrounded by the famous equation e=mc². 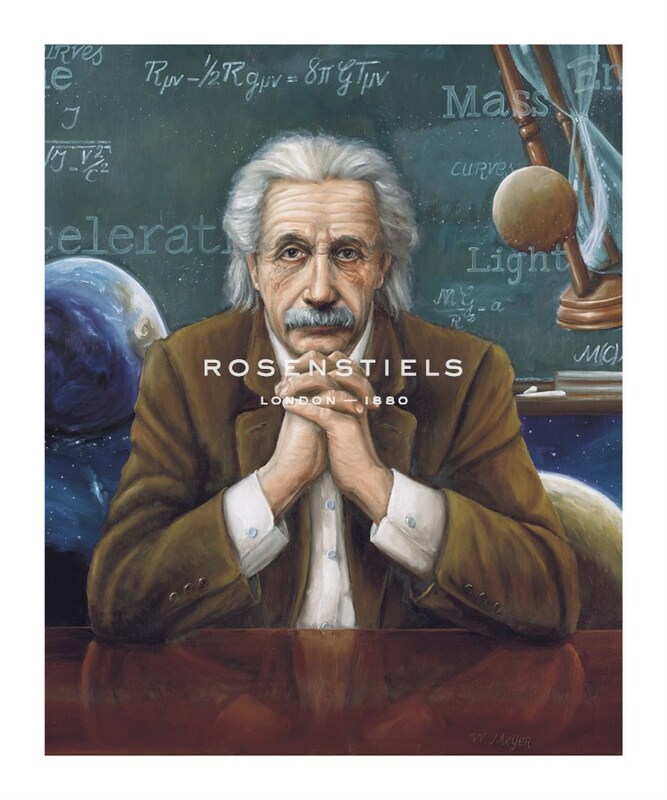 Also, the artist has incorporated a small formula in the right hand corner: M(C)MV, a combination of the Roman notation for 1905 and 2005; the Einstein Centennial.